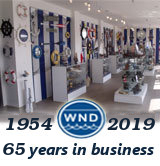 Floor Standing Chrome - Leather Harbor Master Telescope 50"
Handcrafted from solid chrome, this elegant 50” Harbor Master Telescope makes an elegant nautical statement in any room, office, or aboard ship. 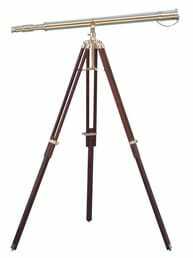 Mounted on a sturdy tripod, this telescope is as beautiful as it is functional, and makes the perfect gift for any occasion. 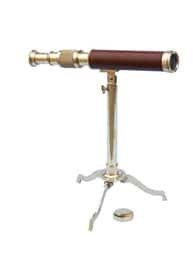 Both the telescope and viewfinder are solid chrome, with up to 12x magnification, and focusing is accomplished by adjusting the eyepiece ring on the telescope tube. A removable chrome cap, connected by a chain, protects the objective lens when not in use. The chrome/black tripod stand features smooth, polished round legs, each with solid chrome fittings and a screw release to let you adjust the height. 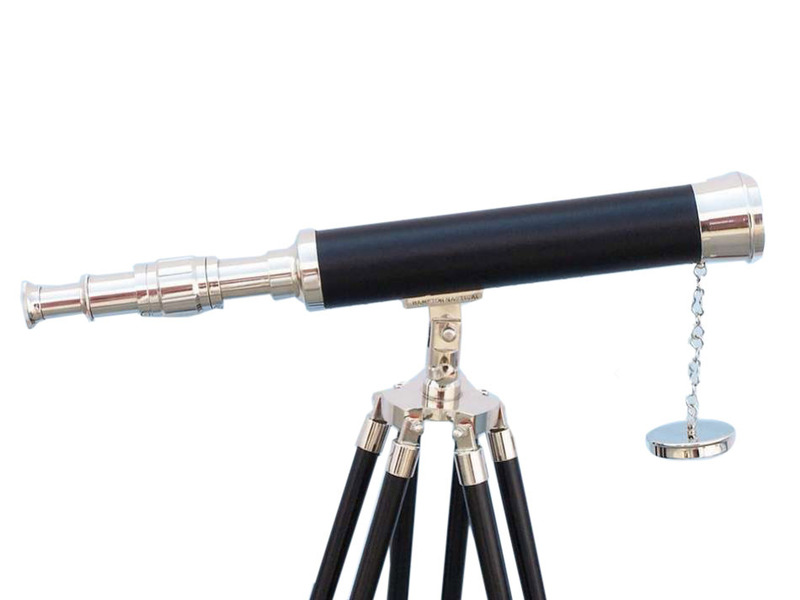 A solid chrome holds the three legs together so the telescope can maintain its position.